I am most certainly not a beauty blogger, I am also not a makeup junkie. I have a few tried and true tested makeup products that I usually stick with because I know that they look great on me. Whenever I'm going out I usually have either a lipgloss (preferably tinted) or even lipstick that I can reapply in my bag. 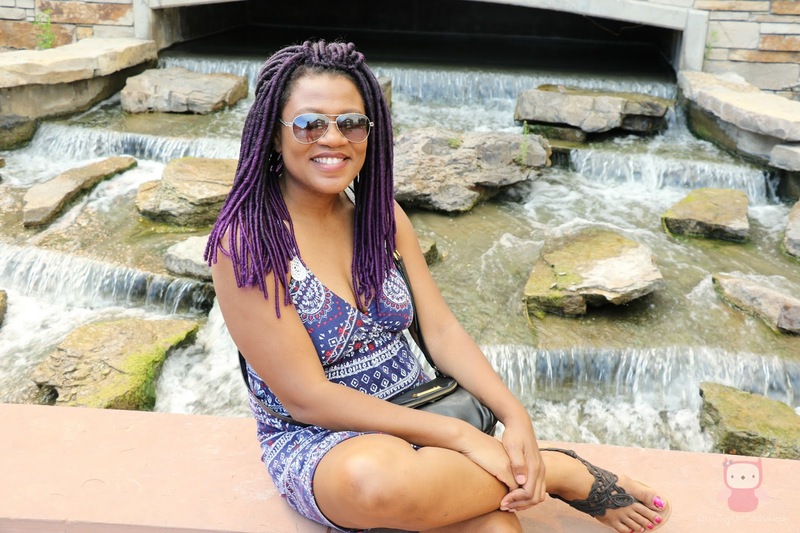 I am usually skeptical about trying new products, the reason being because I have darks skin and not everything looks good on me, which brings me back to my products that I wear because I know they do look great on me, however I was wowed by STOW AWAY Cosmetics. I loved the selections the offered, and most of all I LOVED that they were just the right size to take with me in my very small bag whenever I am going out. One of the reason I only take lip gloss or lipstick with me is that anything else just takes up a little too much room, but not STOW AWAY Cosmetics, they're even small enough for you to take with you through security on any airline. 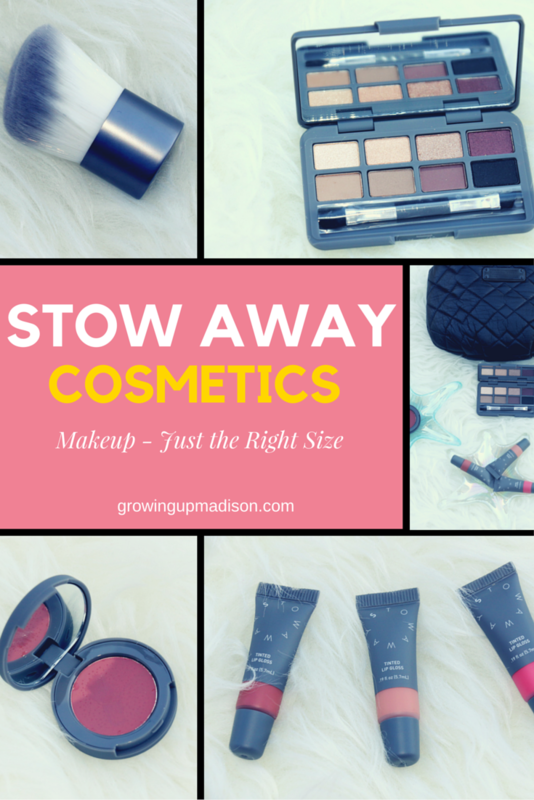 Here's a bit about STOW AWAY Cosmetics:- They are a beauty brand built on the philosophy that makeup should fit into women’s lives and they recently added a few new products to their existing line of right-sized makeup essentials that I'll be sharing with you today. Essential Eye Palette: This credit card sized compact does it all, with 8 mix and match shades. Lightweight powders are highly pigmented to create buildable color that are ideal for completing an entire eye Essential Eye Palettelook with just one product. The natural shades go with all skin tones. The matte shades are designed for all brow colors and the black shade can even be used as a liner. Shimmers can also be used for highlighting and contouring. 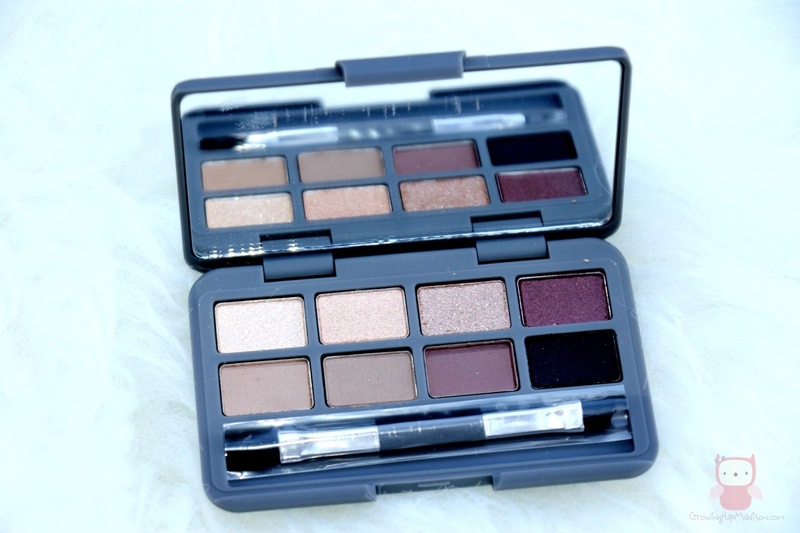 The palette comes with a dual-sized brush fit for shadow, brows and liner. Any woman can simplify her daily touch-ups or go from day-to-night with this modern essential. Price: $25. Tinted Lip Gloss: Finally a gloss that applies with a smooth cushion feel but without heavy, binding, stickiness. 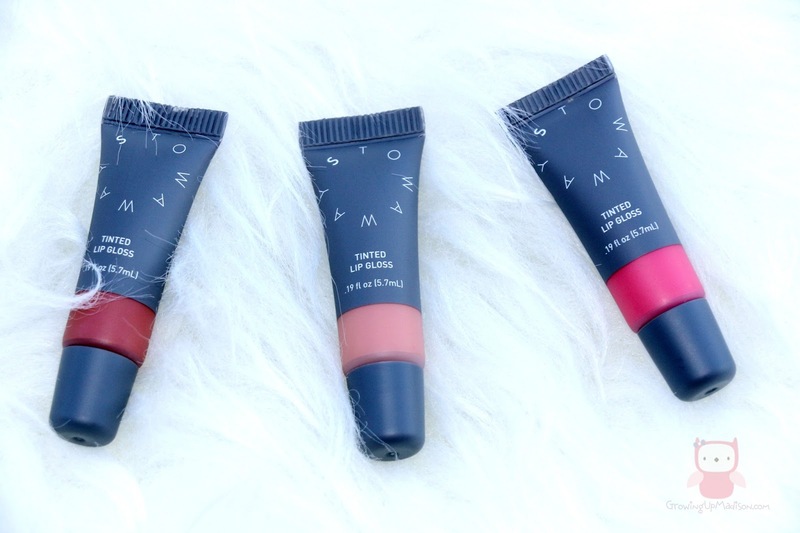 The tinted gloss is infused with essential oils to keep lips soft and healthy. Natural ingredients like coconut oil, vitamin E and pomegranate oil will also deliver moisture and protect your lips against damage caused by free radicals. Available in Honey, Petal and Rosewood so any woman can look gorgeous on the go without compromising Price: $8. 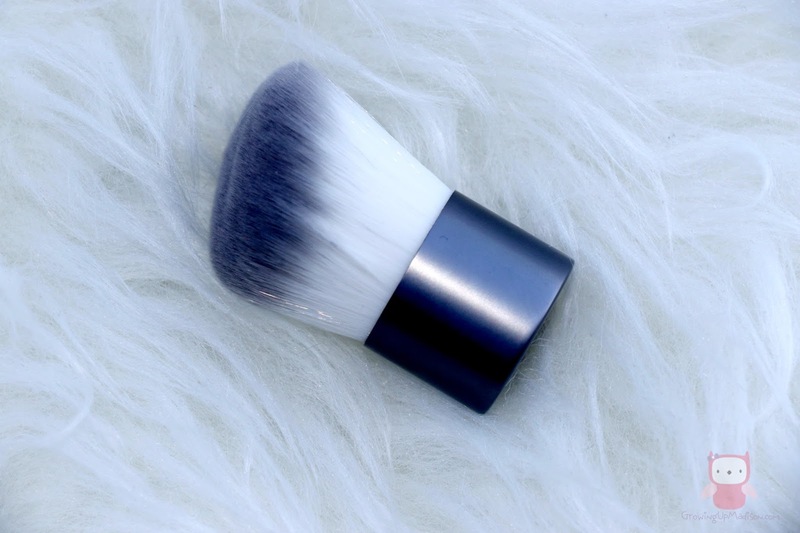 Kabuki Brush: This do-it-all brush is sized for on-the-go application. Made with luxurious synthetic fibers, this brush pairs perfectly with a variety of formulations from creams to powders. Its unique angled shape allows for seamless application anywhere on your face. The 2 inches tall, pint-sized companion is hypoallergenic and easily washable. Price: $20. 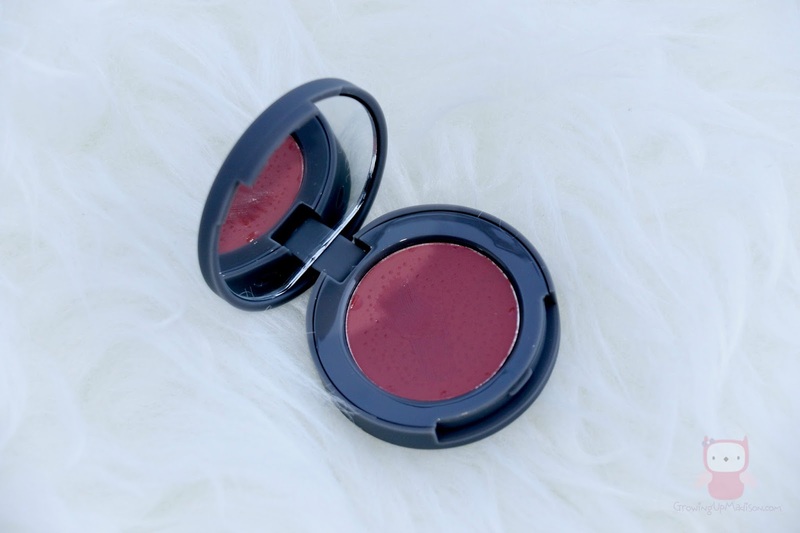 Cheek & Lip Rouge: This is one-third the size of an average blush and it makes touch-ups in tiny spaces a breeze. The smooth formula softens into a cream at body temperature and leaves you with a silky, matte finish. This is a photo of me wearing the tinted lip gloss in rosewood and a little of the cheek rouge. I'm not big on makeup so I love wearing it sparingly and I have to say that I am truly impressed. I am one who has always thought that in order for makeup to look flawless, or to even work, it has to be super expensive. That is not the case with STOW AWAY cosmetics. You'll get flawless makeup without spending an exorbitant fee. I also loved that I was able to keep everything in my little bag so I can reapply if needed. I only needed to do my lip gloss since I practically ate it off while having lunch. While I have purchased regular sized cosmetics, I personally preferred this being pocket sized. There has been countless times I have ended up throwing makeup away, because they do have an expiry date, and I wasn't able to finish it. Money down the drain as I like to say. This size allows me to be able to use it all, especially since I don't use makeup as often as a beauty blogger would. This is perfection! So would I recommend STOW AWAY cosmetics, yes I would! Let's discuss: What do you think of pocket sized cosmetics? I like all the choices in the eye palette. I'm like you, not big on trying new products. I'm a bit of a minimalist with make-up and prefer gloss to lipstick too. LOVE the purple hair, just covered over my purple and I miss it. Thank you. Yes I'm not big on trying out new products but these amazed me and I love them! These sound like great cosmetics. I have actually been looking for a good kabuki brush to amp up my makeup game. Well I think you've found your kabuki brush right here. I like that the lip gloss is not sticky. I really love that the makeup is not expensive. I'd love to try it. Oh and I think that you should! You'll love it. Looks like a handy makeup kit! And I love your purple hair, it's so cute and colorful! Thank you Katie and thanks for stopping by. I love compact cosmetics. I'm not a big makeup user, so compact is good for me! Thanks for sharing! I'll have to check out this brand. Thank you my friend and I think that you should. They are just the right size for you. I love the idea of pocket-sized cosmetics. I don't have much room on my bathroom sink counter, so space saving like this is my favorite. Oh yes then this is perfect. I have a lot of bathroom space but I still prefer something small and neat. Those are super cute makeup options for sure. Love the size for traveling when I am out and about! Oh yes if you're traveling then these are most certainly the size that you're going to need. Thank you Jeanine. The size is what has me loving it. They are perfect and I know that they won't go to waste. This sounds like a great makeup line. I've never heard of it, but it sounds like it's something worth checking out for sure! I'd love to try their eyeshadows and lipsticks! I think that you should give them all a try but the lip glosses are really nice. I'm digging that eye shadow, those are my go to colors. I've not heard of this brand, but I would totally check them out. And I think that you should. They are amazing! I've never heard of this brand! Those shades are awesome - I need to check it out! I love the size - so perfect for traveling; I have such a problem with packing makeup on trips, it's bad haha! If you have the regular sized products then those can be bulky and hard to travel with. You should certainly have these for travel. I'd definitely take these with my in my purse for touch-ups and emergencies. Pocket sized cosmetics are definitely the way to go! Yes they sure are! Thanks for visiting Liz. How cute! I have never heard of this brand before but the products really look great on you. Thank you Chantal and I'm happy I was able to introduce a new brand to you. Honestly I love pocket sized cosmetics!! I wish more brands made small versions of things that can fit in small purses. I will have to check STOW out! I wished more brands did that too, especially the ones that I love. Be sure to check out STOW AWAY! I just got back from a cross country trip in the car. I wish I had these but plan to check them out now. So cute! They are perfect for travel, they don't take up a lot of space and they are amazing in terms of quality. Check them out and give them a try. Like you, I stick to what looks good on me. But I love that these are so small and perfect to carry with you. I will be trying these soon. Thank you for at least giving them a chance and be willing to try them. You won't be disappointed. 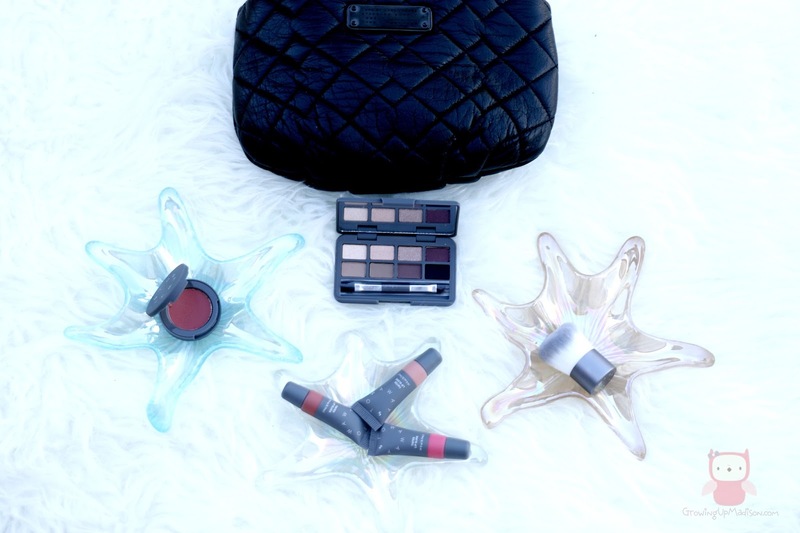 I love using beauty and makeup products and it sounds like amazing product! I need to check this out! They are amazing. I actually love them and enjoy using them. I love makeup that you can travel with! Tinted lip gloss is one of my all time favorite things! A great selection! Tinted lip gloss is also one of mine. You'll love these. Travel-sized makeup is important to me. I have a large purse! Of course I'm more of a mascara and lip gloss and literally nothing else but sunscreen kind of girl, but there are special occasions often. I usually walk around with a small purse so they are perfect for me for on the go. I'm more of a lipgloss kind of person. I very rarely do mascara. I'm not a makeup person either but I like how these are conveniently sized for carrying. That's the best part about these. I hate walking around with big bags now that Madison is older, after having carried around a baby bag for so long, so these are perfect!